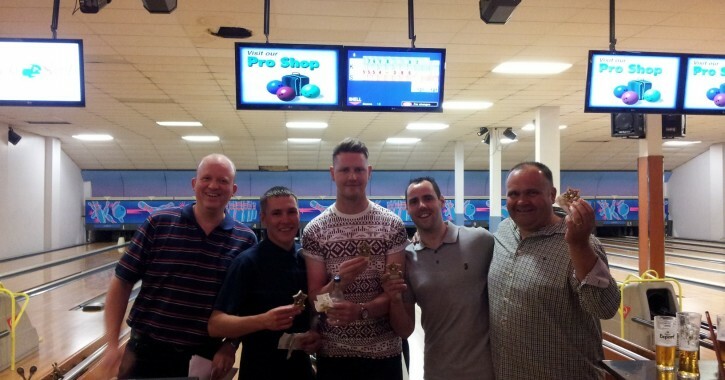 Hanson Logistics staff hit to the lanes of Huddersfield’s UK Super Bowl for their staff 10-pin bowling tournament. The night went down a storm with plenty of beer, food and strikes! Well done to Team 1 coming first with a lead of over 100 points! A big shout to John McAliskey coming 1st overall and scooping a 1st prize trophy and cash award. Of course we can’t leave out Marc Zatorski scoring an impressive 106 … across two games which nets him the much sought after wooden spoon award. All in all a great night was had by all and we look forward to inviting Hanson staff to the next event later in the year.